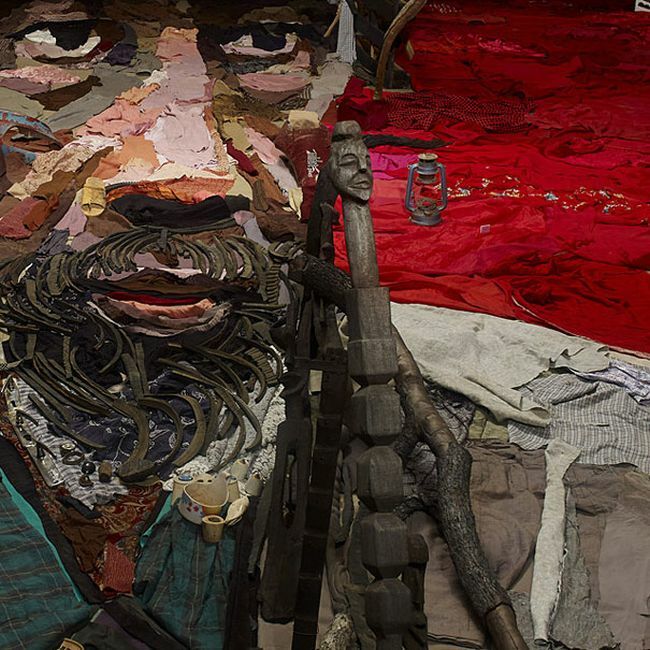 This is a large optical illusion created by a French artist Bernard Pras. 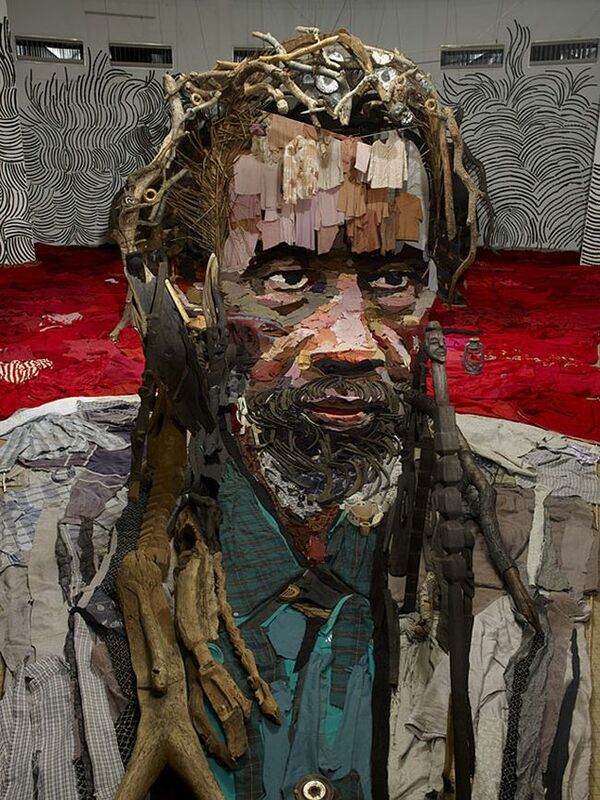 It's a portrait of Malian actor Sotigui Kouyaté. 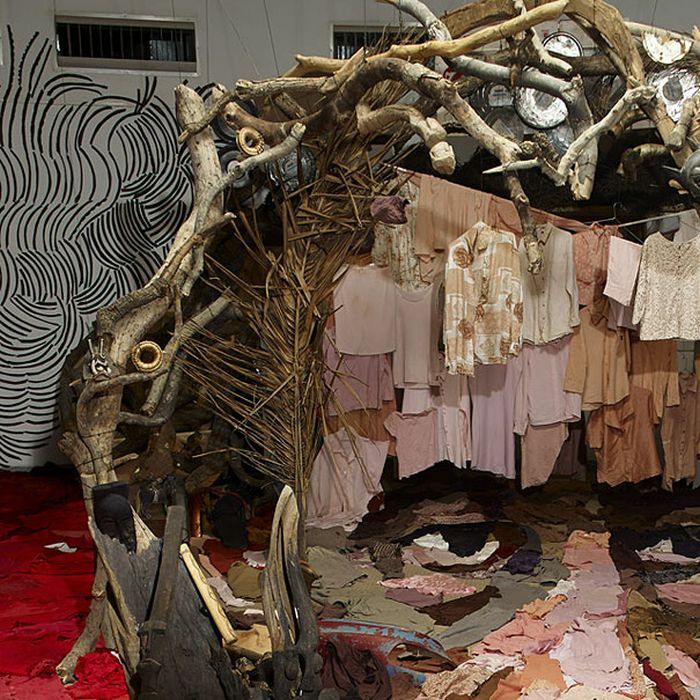 It was made out of recycled materials such as clothes and rags, wood, glass lanterns, dishes, rubber and other trash Bernard would gather from the installation site. Well done! At first I thought it was a painting.